We are glad to have Lucy demonstrates in the Gilmore Park Church Community Kitchen. Lucy has signed up for a pharmacy course and once her class starts in early March, she will not be able to attend the community kitchen anymore. We do wish her the best in her future undertakings. Lucy made this spicy Beef Jerky in the community kitchen. She brought some of these Home-made Beef Jerky for us to try on a previous meeting and all of us love it. We are glad that she can show us how to make it. These spicy beef jerky is so good that we cant stop snacking on it. 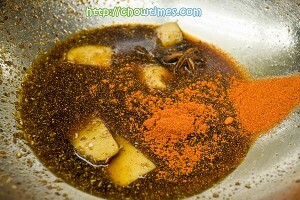 If you cant eat spicy food, you can leave out the hot chili powder. We actually made two batches, one with hot chili powder and another without because Frank cant take spicy food. They are both good but I preferred the spicy one, of course. According to Lucy, after refrigeration, it will not tastes as spicy as it just comes out from the oven. 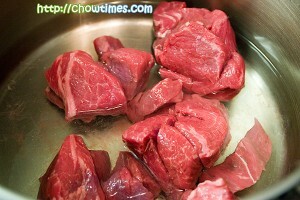 Place the stewing beef in a pot of cold water and switch on the stove to high to bring the water to a boil. 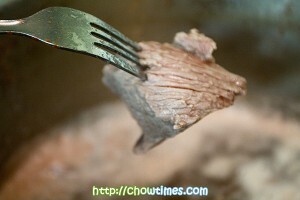 Let the water boiled for a few minutes and test the beef with a knife or fork to make sure the juices run clear i.e. not bloody. 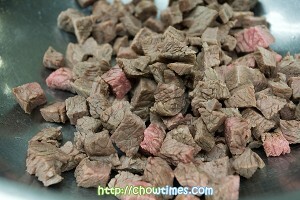 Do not over cook the beef or else they will be tough. Drain the beef and let them cool naturally. Lorna asked if we can cool the beef under cold running water and Lucy replied that if the beef cool naturally, it will be more tender. 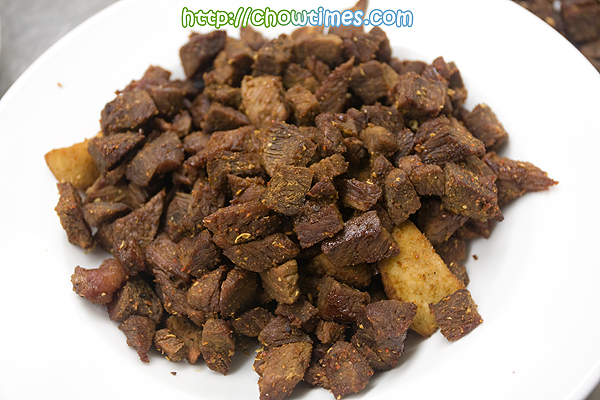 Once the beef is cold enough to handle, cut them into small cubes; the smaller they are, the tastier they will be as there are more surface to absorb the sauce. 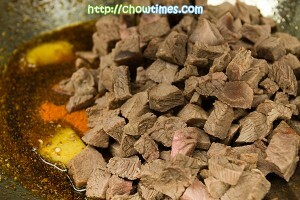 Prepare the sauce by mixing the rest of the ingredients in a big bowl. 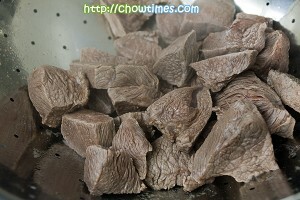 Toss in the beef cubes and make sure each piece is coated with the sauce. 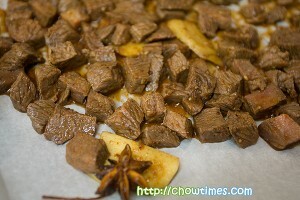 Lay the beef on a single layer on a parchment lined baking sheet. You’ll need two baking sheet for this recipe.Bake in a 350F preheated oven for 8 minutes. Remove the baking sheets from the oven to give it a good stir and return the baking sheets into the oven for another 8 minutes. Remember to switch the baking sheets position to have even baking.Let the beef cool before storing them in air tight container in the refrigerator. Lucy said they should last for a week in the refrigerator. 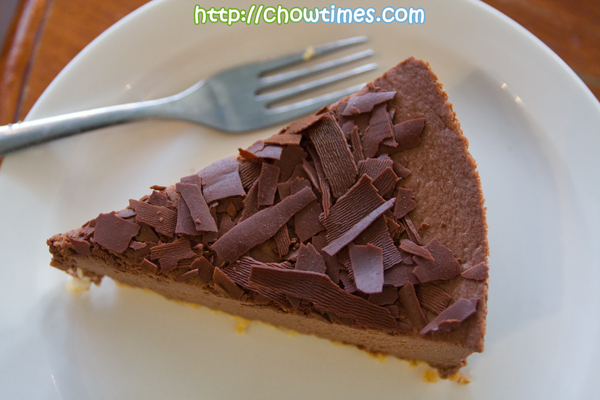 In search of a cheese cake place, Polly found a site with reference to Chi Cake. Chi (pronounced as “chee”) is cheese cake with half the fat as it proclaimed. It is gluten free and made fresh locally with organic ingredients without jeopardizing the flavour of cheesecake. We told ourselves that we must try this. We printed out the page where Chi Cake can be found from it’s website and venture out to look for one. Our first stop was Bean Around The World on Granville St. but unfortunately, they ran out of cheese cake on that day. Our next destination was two locations on E. Broadway. First location was Rhizome which doesn’t seem like it’s open for business. That brought us to Our Town Cafe on 245 E. Broadway. Old Town Cafe looks like an old timer in the area. The furniture are very old fashion and outdated, long benches and sofas. But, the business is very good. There are lots of young people who look like students in the cafe. Some were browsing their notebooks and I assumed there is free Wifi there. Other than students like clients, there are also older people with a book in their hand. We had two slices of cheesecakes to share. The cafe only has two flavours of cheesecakes. 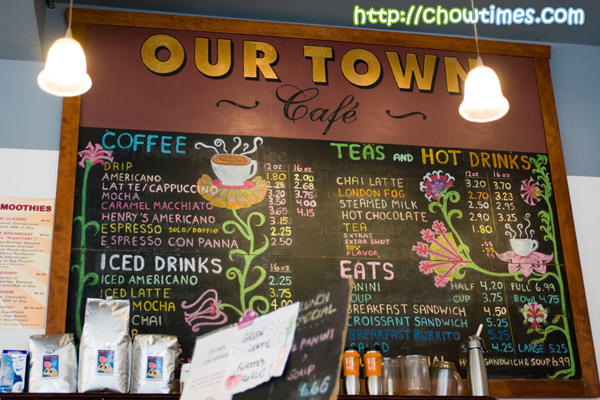 Our Town Cafe also serves some pretty good looking sandwiches. I had a Caramel Macchiato for $3.48. It is rich and creamy. 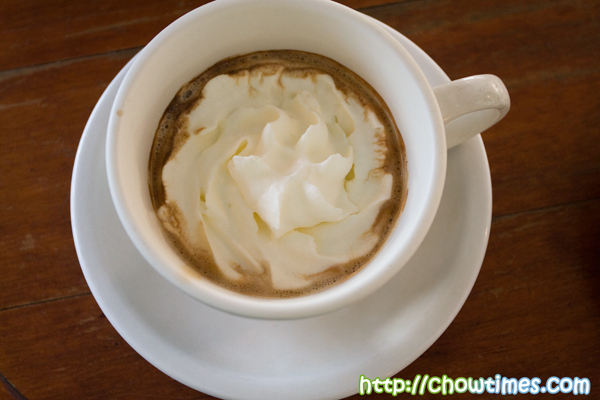 Out of the variation of coffees like latte, mocha and cappucino, I prefer Macchiato. Polly had a single shot Espresso Con Panna for $2.50. 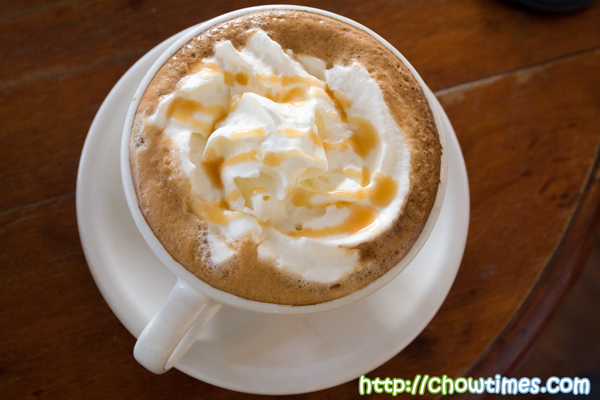 The strong coffee taste lingers in the back of your throat with just one sip. The first slice of cheesecake is Lemon NY which costs $5. 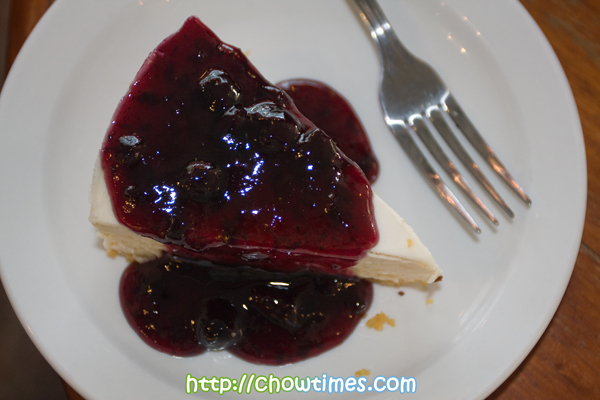 The cheesecake is topped with a blueberry glaze. The cheesecake is not overly sweet and the glaze complements it well. The next piece is called Chocolate (fair trade) Chai. This is also $5.00 per slice. The only thing I dont like about these cheesecakes is the base. The base has a gritty texture to it. The total bill came to $16.83. The parking is at the rear of the building. There is a huge mural painting on the wall which leads to the parking area. 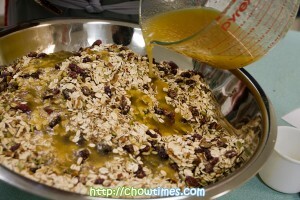 June and Carol made a big batch of Fruity Maple Pecan Granola for the seniors kitchen. The granola is used as topping for the Honey Pear Parfaits. 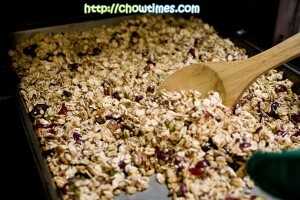 Everyone gets to bring home some granola as we made a triple batch of the recipe. The South Arm Cooking Club for seniors always double or triple the recipes. This way the seniors get to bring something home. Stella often reminds the seniors to bring back the reusable containers so that they can bring something home in the next meeting. I love this Fruity Maple Pecan Granola. It is very nutty and crispy. I munch on it as snacks and it’s a less guilty kind of snack. This is a fiber rich snacks. Set the racks in the upper and lower thirds of the oven. Preheat the oven to 300F,In a large bowl, combine all the dry ingredients. Mix the dry ingredients well. 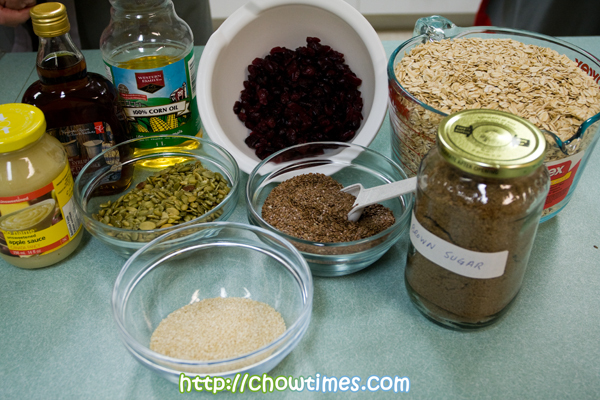 Combine the wet ingredients in a separate bowl, stirring until completely combined. 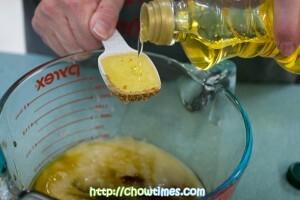 Mix the wet ingredients into the dry ingredients, tossing and stirring until evenly coated. Spread the mixture evenly on two rimmed baking sheets. Bake for 35 to 40 minutes, or until evenly golden brown. 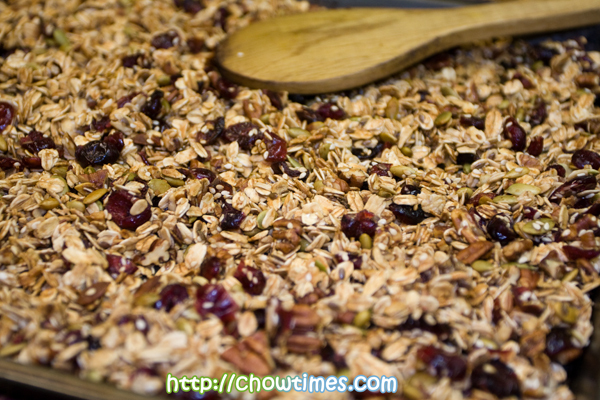 Set timer to go off every 15 minutes while the granola bakes, so you can rotate the pans and give the granola a good stir; this helps it cook evenly.We should have leave the dried cranberries out of the baking process and stir them in after the baking so that the dried cranberries stays moist and supple. The baked dried cranberries are a little chewy. 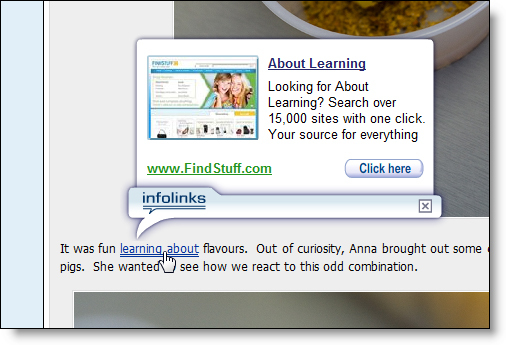 We just got an email giving us the feedback that the InfoLinks ads that we put in were intrusive. We were told that these irrelevant links are akin to being pushed to order two orders of Lamb Kabab! LOL! We have removed the ads (even though that’s about $1000 revenue per year from this alone!). You know why we do that … it is because one of you took the time to craft a long and respectful email giving us very constructive feedback. We appreciate these kind of feedback over anything else because it shows that you care about this little blog as much as we do. Suanne and I can’t ask for more … Goodbye InfoLinks. LOL! This post is written with sampling at MaxFrut. We are not paid for this post. 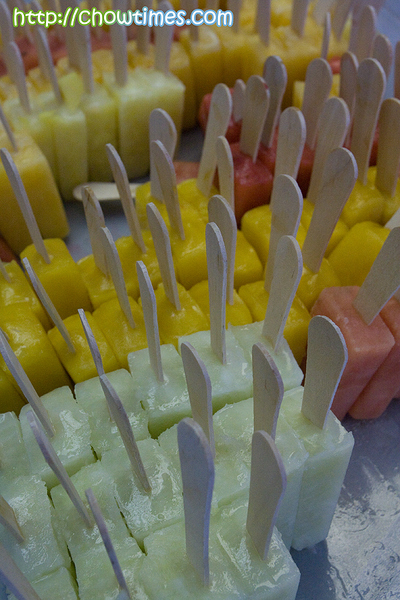 Anna of MaxFrut invited us to visit their premises to check out their cool new product … fruitcicles, not popsicles. We went right after the lunch we had at Kash Cool. It was just perfect … this will be dessert after the heavy lunch. 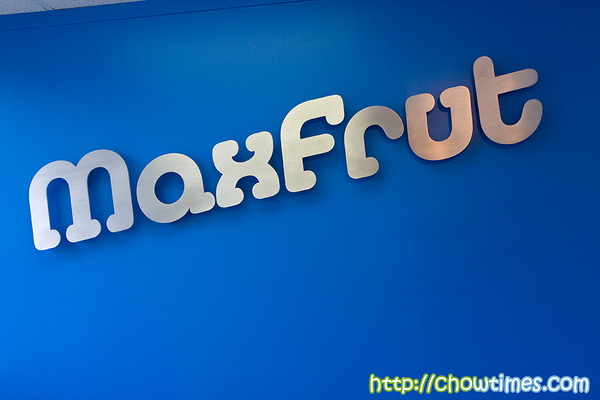 MaxFrut is located just around the corner from Kash Cool. They are located in an industrial area on 127 Garden Ave. 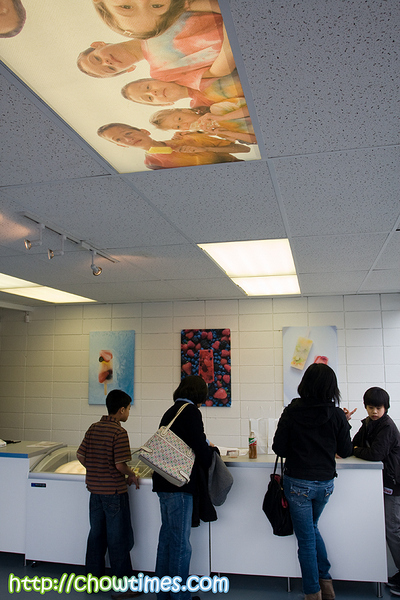 This is where the MaxFrut Flavour Lab is … the birth place of the many uniquely cool flavours. We were greeted by the lovely Anna who were so helpful with our many questions. Suanne and I love learning about the food we eat and was lapping up every single word she said. As much as we were curious, we were more excited when Anna brought this large tray of samples. Oooo … nice! Hey … these are not your day to day popsicles. These are what Anna calls whole fruit frozen fruitcicles. She had made a new batch of interesting flavour of cucumber lime. What a combination but really, it was quite nice and fresh. They had all kinds of Classic flavours made from real fruits. Since this is a laboratory of sorts, they even have Premium flavours which is not found elsewhere but here in the flavour lab in North Vancouver. We noticed they had a $5 bill tagged on the top corner of this poster. Suanne and I guessed that it must be the first $5 they sold here. You think? It was fun learning about flavours. Out of curiosity, Anna brought out some chili seasonings and use us as guinea pigs. She wanted to see how we react to this odd combination. Mango fruitcicle is a very Asian flavour since it is a common tropical fruit found abundantly in South and South East Asia. 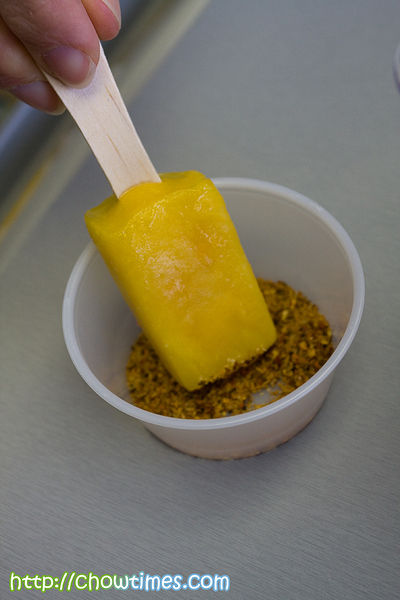 So, Anna figured perhaps some chilli seasonings may go OK with the Mango fruitcicle. The taste was … errrr … different. It was not bad especially. 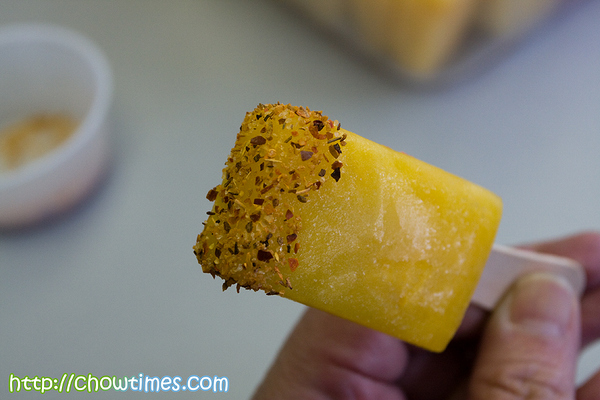 Who would have thought of putting chilli on popsicles? MaxFruit would, that’s who! Updated: 17th Feb 2011: This restaurant had closed according to Urbanspoon.com. Hi All: I wanted to let you know that I had feedback from a few readers (Iranian and also non-Iranian) that some of the comments I had made on this post is generalizing, disrespectful and particularly hurtful. I had considered the feedback and re-read carefully what I had written. I do agree that some of the words were totally misplaced and that it could be interpreted as disrespectful, particularly to the Iranian community. For that I do sincerely apologize to each and everyone of you who felt offended. I want to admit that I had been insensitive in the poor choice of words used. It is very important to me (Ben) that I set things right. As such, I had made amendments to this blog entry by removing those words. Again my sincere apology! If there is one major cuisine that I have never tried before, it is Persian cuisine. This is despite that there is actually quite a large Iranian community here in Vancouver, particularly in North Vancouver. My personal impression about Iranians in Vancouver is that they are either very rich or that they are great Java programmers. LOL! This is because ALL of the leads programmers (I had three of them!) I had on my project teams were Iranians. 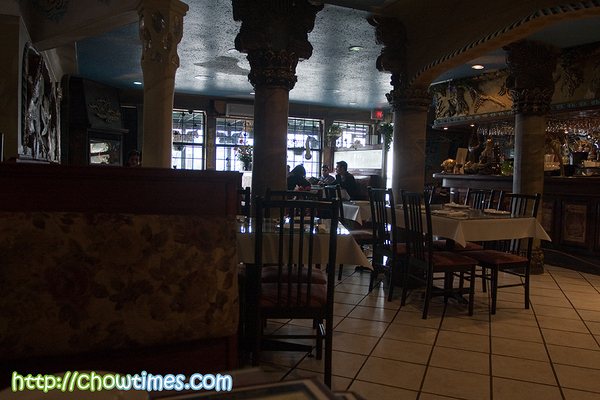 There was this day when I had to go the North Shore, I thought I should take the opportunity to try out Persian food … and I wanted to have real, authentic Iranian Cuisine. So, I asked Kazem who works in my company for a recommendation. Without any hesitation … he said Kash Cool. 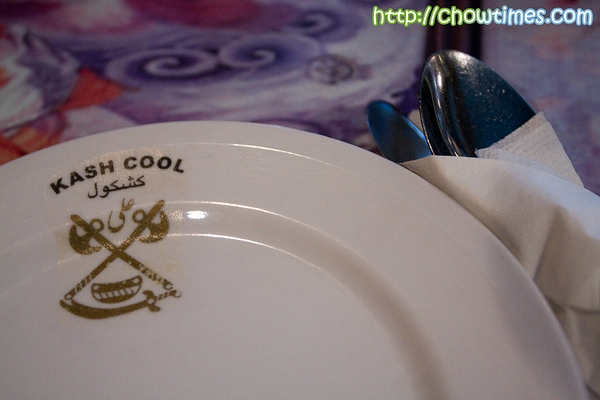 Kash Cool is located on Pemberton in North Vancouver. Even though I have not been to North Van for, oh, 5 years already, it was easy to find Kash Cool. We met up with Angie (of Sea Salt With Food) and her kids for lunch here. 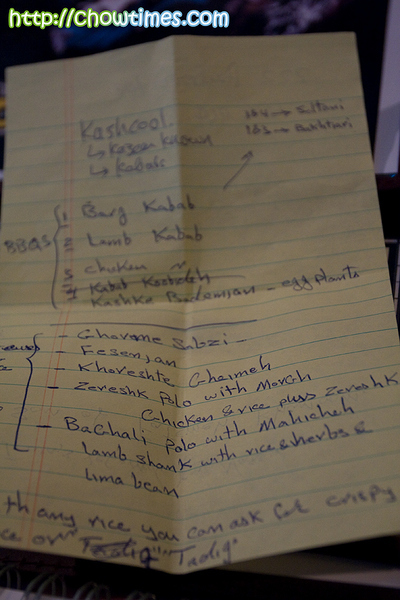 Before I went, I asked Kazem for recommendations since the only Persian food I know of is Lubria Polo which Suanne had blogged before. Kazem was giving me names that simply confuses me. So, I got him to write down his recommendation on a piece of paper for me to bring to the restaurant. Kash Cool does seem very authentic. 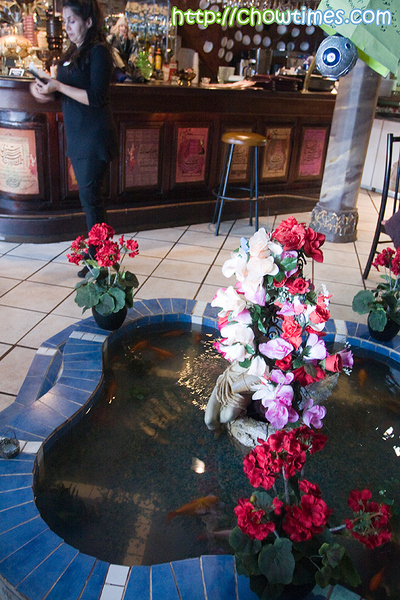 They have a little fish pond right in the middle of the dining room. I find it kind of cool since most restaurant will maximize the floor space with dining tables. I later learned that having a pool with red fishes are very common in Iranian home’s front courtyard. 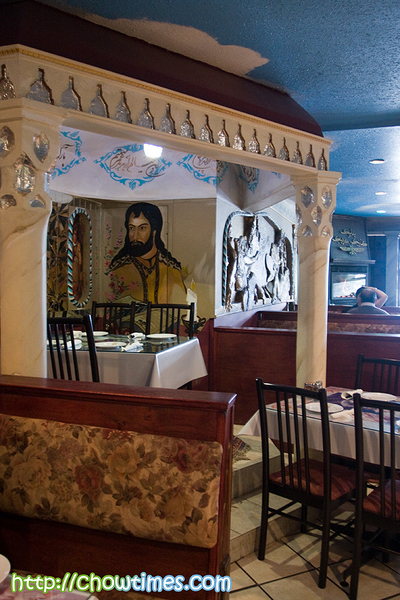 Kazem told me that the owner decorated the entire place himself. There are a lot of large painting and sculptures everywhere. I find that very impressive and does think that the owner sure had an artistic flare in him. I also noticed there were quite a number of pillars. I think they are mainly for aesthetic purposes. I later found out that pillars are core elements of the Persian architecture. I had to ask them why the name Kash Cool. I teased the friendly wait staff if they love money because of the name. She chuckled and told me that Kash Cool is the name of a dish. We were the only Chinese looking customers there. I initially feared that I might have problems ordering. 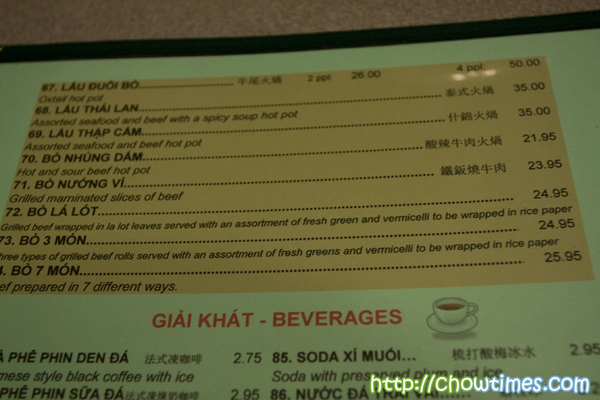 However, they were extremely helpful and could see that we are unfamiliar with the menu. Guess what came through the mail last week. A quick scan of the envelope showed that it’s a package from Jerky.com. 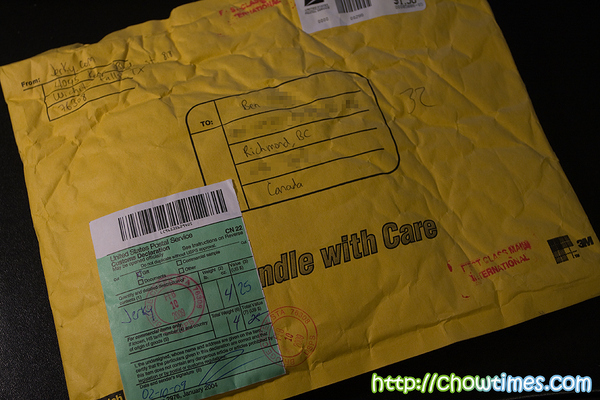 I was rather surprised this package actually came … and that it passed Canadian Customs. I received an email from Jerky.com asking if we would like to try one of their latest product. Doug was pretty convincing that what he had is going to be awesome, in his words. Sure thing … awesome is good … so I asked him to send some over all the way from Texas. 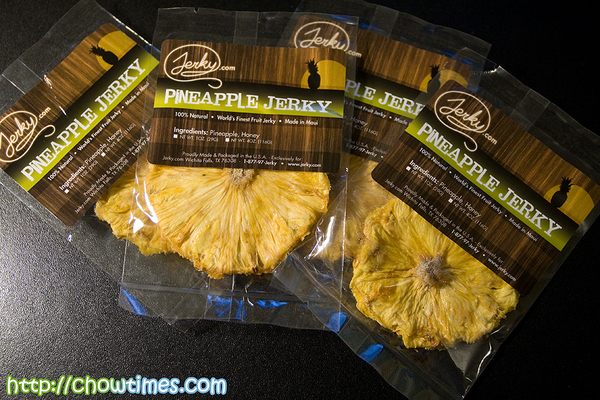 The awesome new product he was referring to was … tada … Pineapple Jerky. 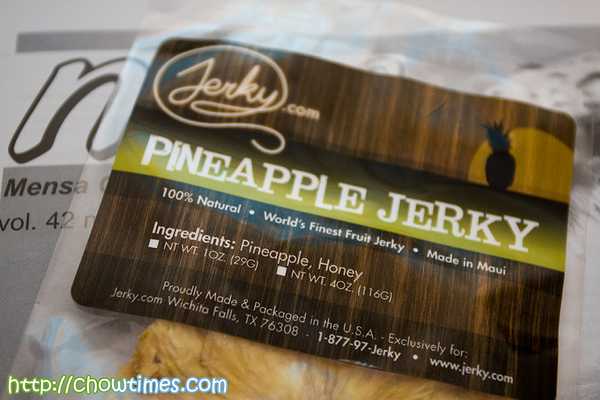 Yes, PINEAPPLE Jerky. We could not wait to try them out. We had never come across fruity jerkies before … beef jerky yes … fruit jerky no. We double check to make sure it’s not some pineapple flavored jerky … no siree. It is the real thing. 100% natural … so the packaging said. And made in Maui too. Of course now … pineapples and Hawaii are synonymous. What I had was sample packages which came in singles. If you order from them, it comes in packs of 5-8 slices in a bag. 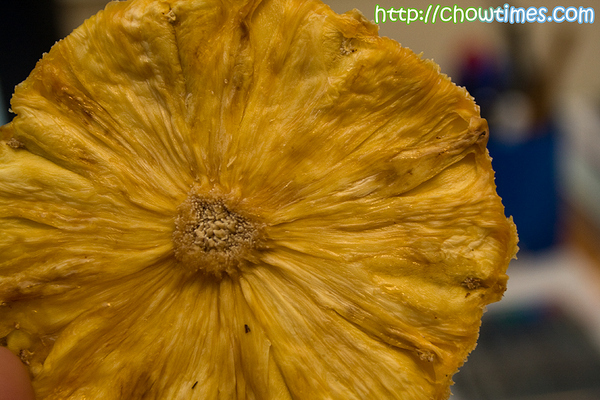 Nanzaro commented that it looked like a flower and nothing resembling a pineapple. It is a healthy one-of-a-kind snack. Sticky, sweet and tangy, these hand-sliced pieces of pineapple are dehydrated and drizzled with honey. It has a certain exquisite taste … very unique and makes us wished they had shipped more! You can order the Pineapple Jerky here. Shipping is free in the US but am not sure if they will also ship free to Canada. “Yes Virginia … there is such a thing as Gourmet Jerky”! Some of you may remember this. This was way back in spring last year when we went for a little vacation in Seattle where we came across the first time the Vietnamese Seven Courses of Beef at the Tamarind Tree. It was one of the most memorable dinners we ever had. 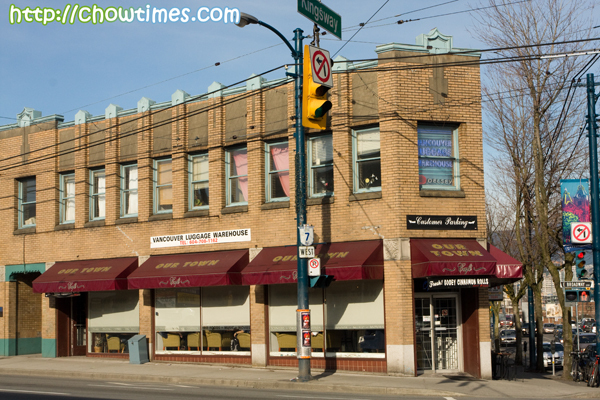 We lamented the fact that there is no Vietnamese restaurant like the Tamarind Tree in Vancouver. 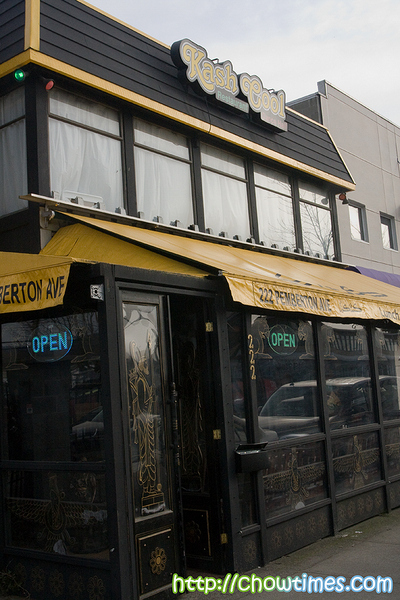 Well, we finally found one restaurant in Metro Vancouver that serves Seven Courses of Beef. Suanne and I went with ET and Christina (of Doesn’t TaZte Like Chicken) to Song Huong right after the visit to Pearl Drops Teahouse. 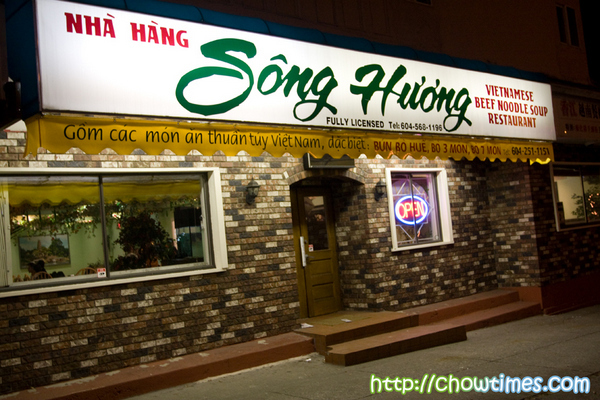 Song Huong is located on Nanaimo St and 1st Ave in Vancouver. For some reason we had the address as 2408 Nanaimo but good thing we travelled south along Nanaimo because we found that it’s located instead on 1613 Nanaimo … otherwise we would have missed this place. We realized this had to be the right place when we see the words “Bo 7 Mon”. We don’t read Vietnamese but that “7” had to be it. 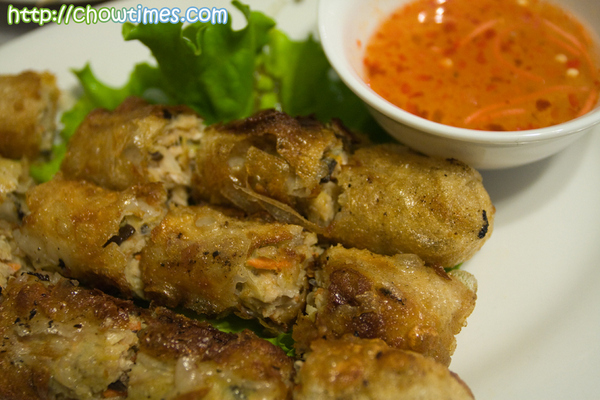 Song Huong came across to us as a really authentic Vietnamese restaurant. From the outside, the signs they had are predominantly Vietnamese. It took a while before we found the item on the menu … “Bo 7 Mon”. For a moment I thought “wow, $25.95 per person”? The menu did not quite say how many this would serve. ET was pretty sure it is not for one person. He was right. That $25.95 is meant for 3-4 people. 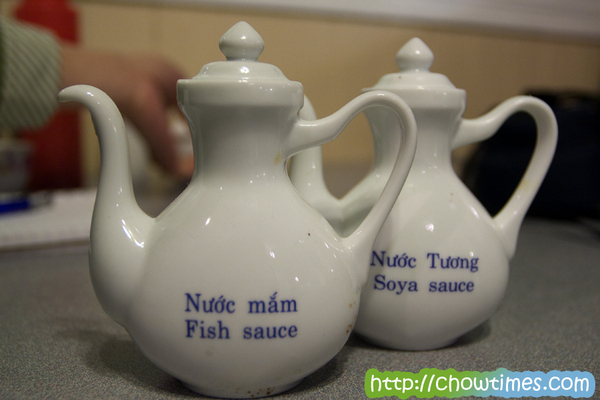 Song Huong is a large restaurant as far as Vietnamese restaurants goes. Forget about ambiance here. The decor is tacky at best. But the more we are here, the more we realize that this is a really authentic Vietnamese restaurant … a restaurant where Vietnamese goes. The wait staff is really friendly and helpful. Since it is meant to serve 3-4 people and that we’re quite hungry since we did not have much to eat at Pearl Drops, we ordered a couple of sides. The spring rolls was a great start. 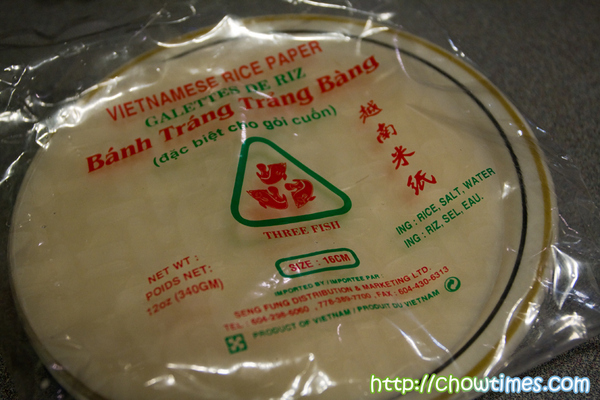 I like this type of spring rolls … I think this is rolled with rice paper which gives it a rougher skin. 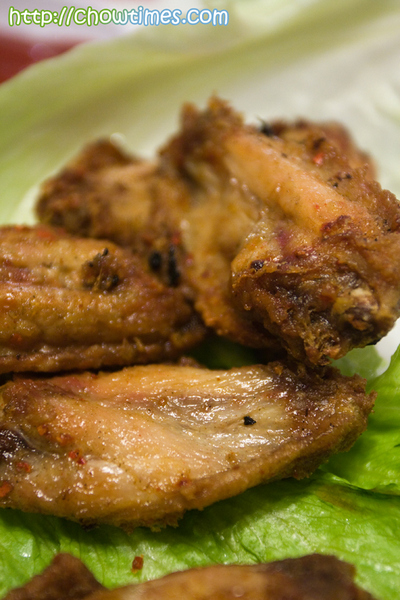 The other side dish we had was the fried chicken wings. Again, these were excellent. As good as these were, these are just the supporting cast. My mind was all focused on the main meal … the Bo 7 Mon. Before long, the main course started. It was bewildering all the items that put on the table. I had to repeat a few times to the wait staff that we need INSTRUCTIONS as we had no idea what to do next. I had to repeat because she keeps coming and going with more stuff and when I reminded her, she just said “yes, yes”. I wanted to make sure she knew what I was asking. You know how it is, right? Some Asians when they don’t understand what you’re saying, they answer “yes, yes” with a smile. LOL! I just wanted to make sure … I definitely needed instructions. I am proud of living in Vancouver BC. There are many things unique about Vancouver that makes it a city that has no parallel in the world. There are many words that can describe Vancouver but I also use a very simple word … pretty. How would you describe Vancouver? In the course of my work, I get visitors from all over the world. Every single one who had been here will end up gawking at our magnificent North Shore Mountains. Who wouldn’t, right? I often bring my visitors to the Stanley Park which I think encompasses everything about Vancouver. Know what I noticed? 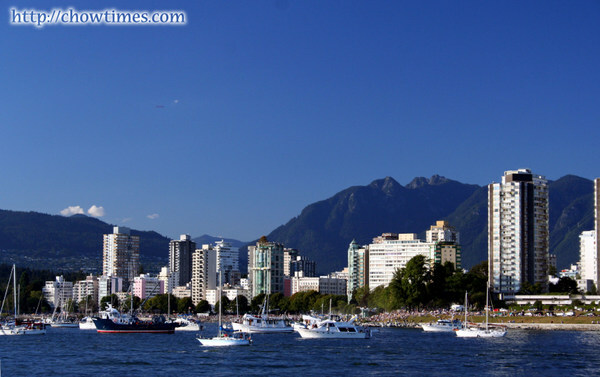 My visitors were often rather quiet walking the seawall … I think they are awed by the beauty of the city. I had always proud declared that Vancouver is about the only city in the world where you could sail, golf and ski all on the same day. You need that very special setting like in Vancouver to be able to do that. That is why so many people wants to come to our fair city to live, work and play. 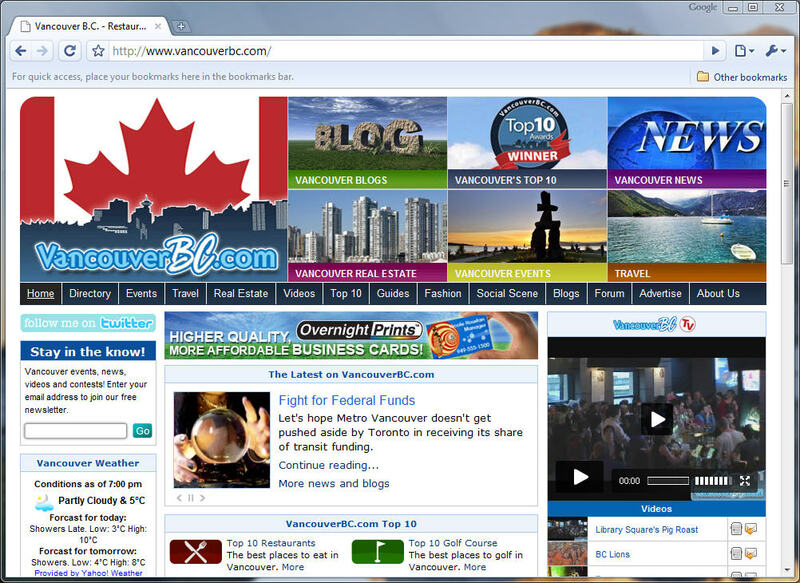 VancouverBC.com is a website which caters to primary to the needs of visitors to Vancouver. It is meant to be more than just an online Business Directory, Tourist Information site, or trendy nightclub calendar. It aims at becoming the pulse of Vancouver, BC, the heart that captures it all. 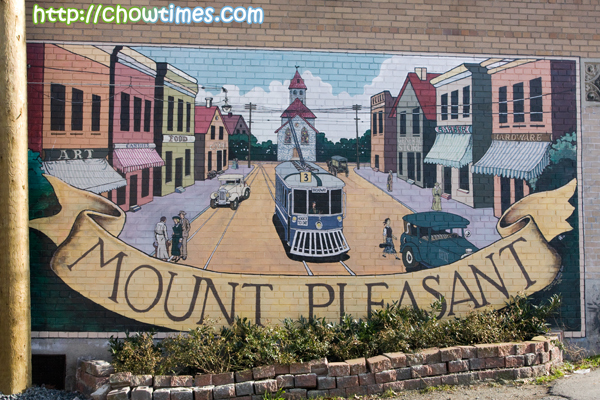 It?s the only site where over 2.5 million Metro Vancouver residents and visitors in the Vancouver area and from around the world can locate information: News, Weather, Videos, Business Directory access, “What’s On” events ? in short everything about anything that is Vancouver, BC. I like their Top 10 Award page the best. They have quite a comprehensive and useful list of recommended places to eat, do, buy, golf and what nots. They even have one for Top 10 Things To Do on A Rainy Day … now, that’s a useful one for rainy Vancouver! They have a limited Top 10 places to eat … I wish they have more. 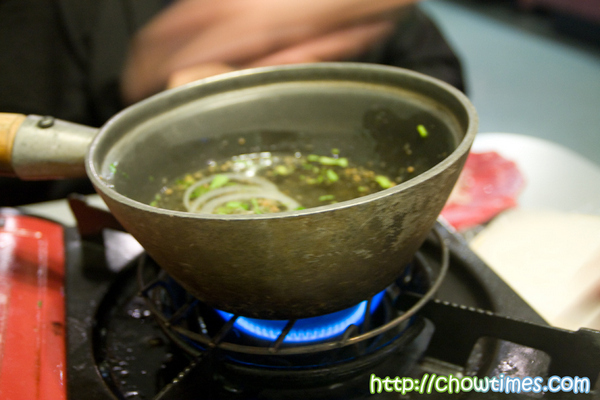 Vancouver has a lot of offer on the restaurant front and is a major culinary destination. If there are info you can’t find on the site, you should know that there is also a forum on it. Joyce and Joan worked on a brunch item which can be served as dessert too. It is Honey Pear Parfaits. These are made with fresh pear, honey, yogurt and top with some homemade Fruity Maple Pecan Granola. 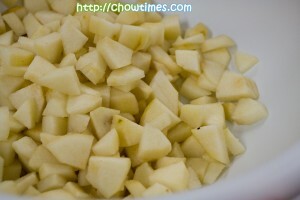 You can make the pear compote in advance and keep in the refrigerator until it’s ready to be served. All you need to do is do is to whipped up some honey yogurt and topped with some granola. Serve this in a glass for better presentation. I love this brunch item the most. But some of the seniors remarked that it’s a bit too sweet. I guess it depends on the sweetness of the pear which you get. You may cut back on the apricot preserves or honey if you don’t have sweet tooth like me. Peel pears and chop into 1/2-inch dice. You should have about 3 cups. 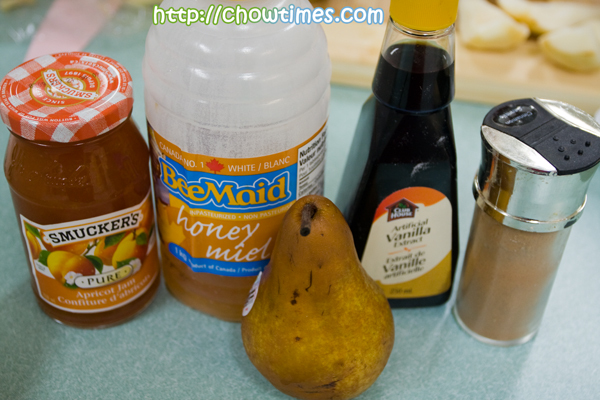 Place pears, apricot preserves, water, cinnamon and vanilla extract into a medium saucepan. 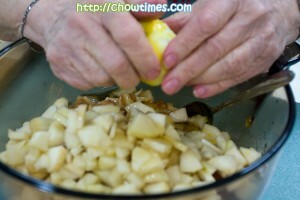 We added in the lemon zest too early, it should added after the pears are softened. 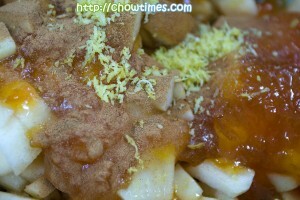 Squeeze the lemon juice into the pear mixture. 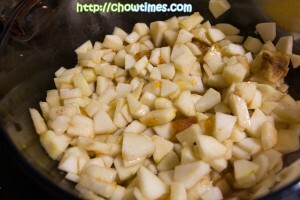 Simmer, loosely covered, until pears are tender – 15 to 20 minutes. We found that the pears are very juicy and release a lot of juice. So, it took us longer to boil down the liquid.Stir in the lemon zest, mix thoroughly, and set aside to cool. 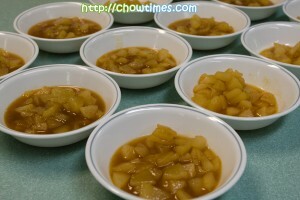 We ladle the pears into serving bowls so that they can cool faster in smaller amount. Stir honey and yogurt together, set aside.Spoon a few tablespoons of yogurt into each of the serving bowls. Top with a few spoonfuls of the pear mixture, then dollop more yogurt over the top. 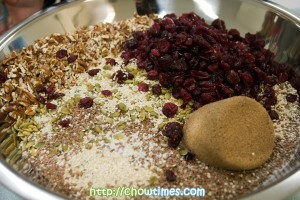 Garnish each glass with a heaped tablespoon of granola just before serving.